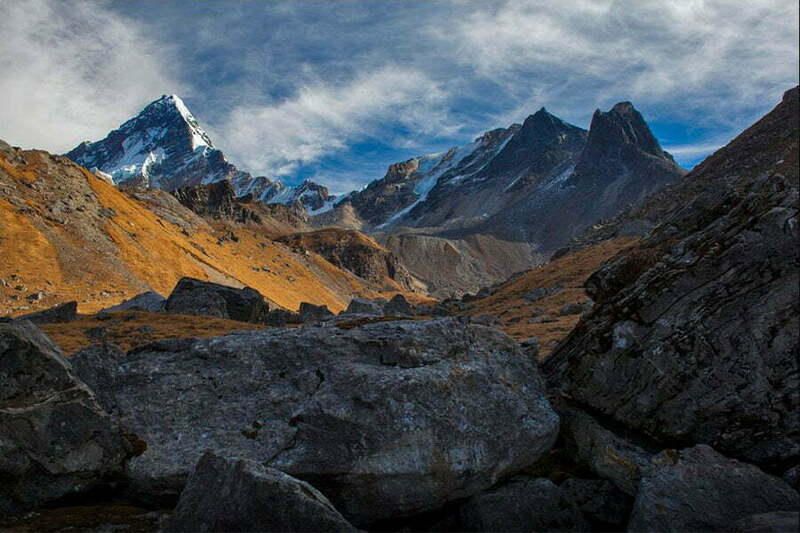 All the eight world heritage monuments within Kathmandu Valley will be explored within a day’s worth of sightseeing. 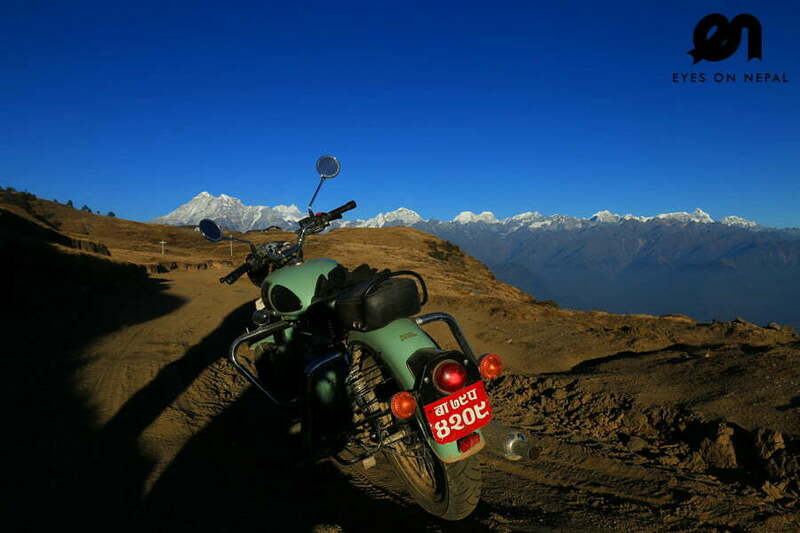 Then you will head towards Pokhara to experience paragliding, sunrise viewing from Sarangkot, boating on Phewa Lake among others. 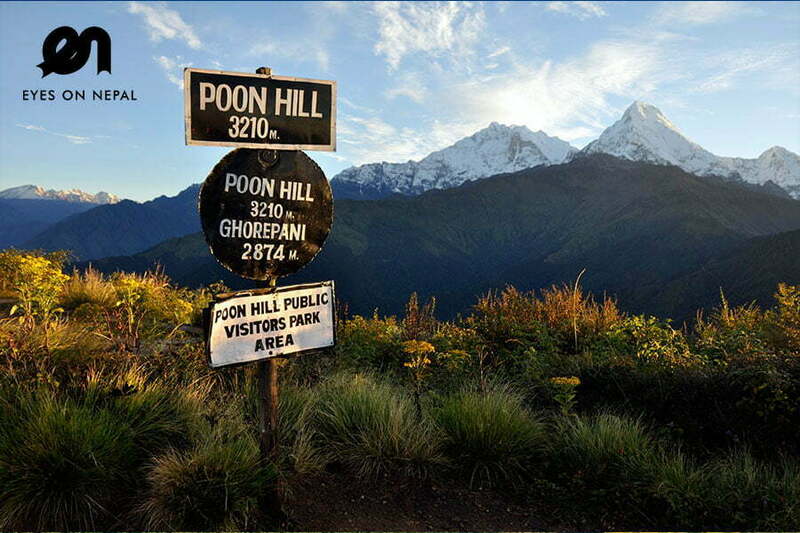 Poonhill Trek, world’s most popular trek, is a paradise for trekkers who would like to experience trekking and see spectacular Himalayan peaks of Annapurna and Dhaulagiri. Day 1: Arrival at Kathmandu! NOTE: Eyes On Nepal recommend Busy Bee Cafe for some night life and drinks. Busy Bee Café has the best live music band every night starting at 8pm. 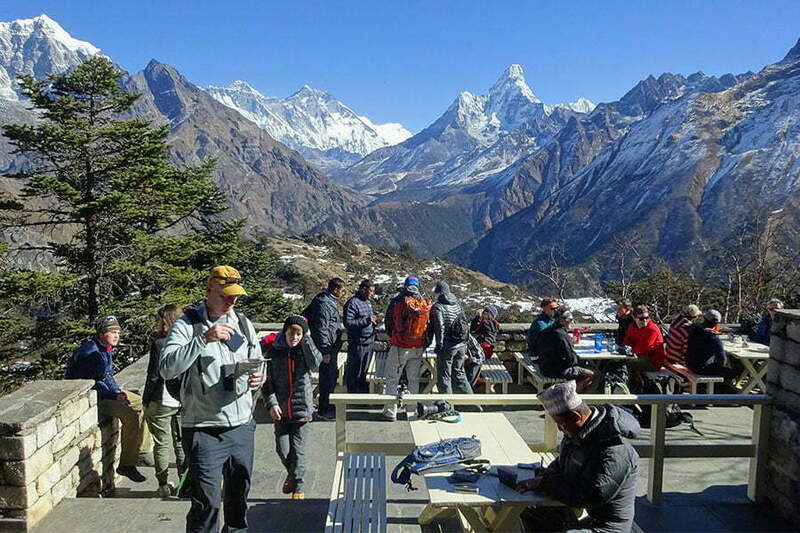 12.00am: Lunch at Banthanti (3180m). Highlights: Bus ride to Kathmandu, View of mountains, river, people and beautiful landscape. 06.35am: Pick up from your hotel and will transfer you to Kathmandu with tourist bus. Journey will take 8 hours. Lunch en route at own expenses. NOTE: After check in to hotel. Free & easy.NOTE: Dinner at your own expenses. 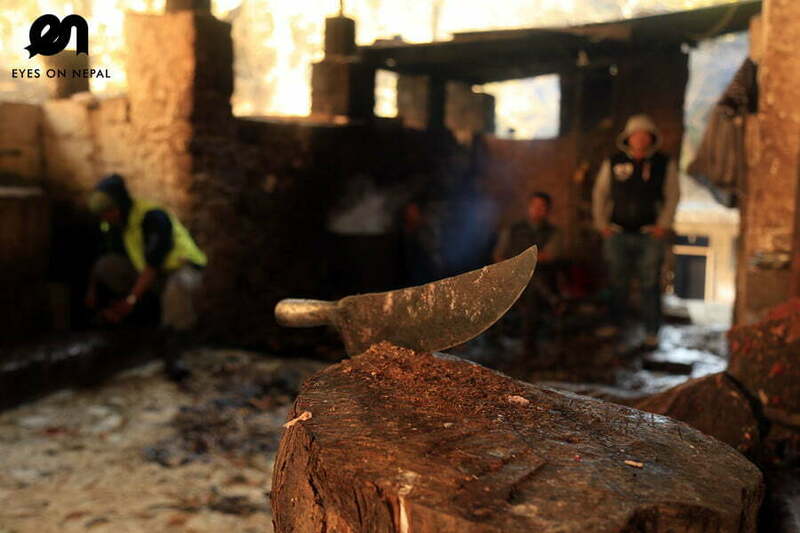 Bungamati Village – an old Newari village near to Kathmandu. A typical village in Bhaktapur where the culture of Newari’s culture still remained. Khokana Village – an old Newari village. You can see the traditional village life with lots of local mustard oil production plant. Patan Durbar Square – NOTE: Listed as UNESCO World Heritage Site. You will visit the famous Krishna Temple, Bhimsem Temple(for prosperity), Bangalamukhi(for love and life partner), Golden Temple etc. 07.00pm: Dinner at China Town restaurant. 08.00pm: After dinner, drop to hotel tours end. Ason & Indra Chwok – Six streets meet at Indra Chok and link the square to Kathmandu’s major localities. Its temples and bazaar draw streams of pilgrims and shoppers. The square is named after Indra, lord of heaven in Hindu mythology. The oldest traditional market in Kathmandu valley. Interesting area to explore. The Lassi is famous on location. Optional Tour: Paragliding Tour. Fees Charged: USD 85. Suggest on day 7.